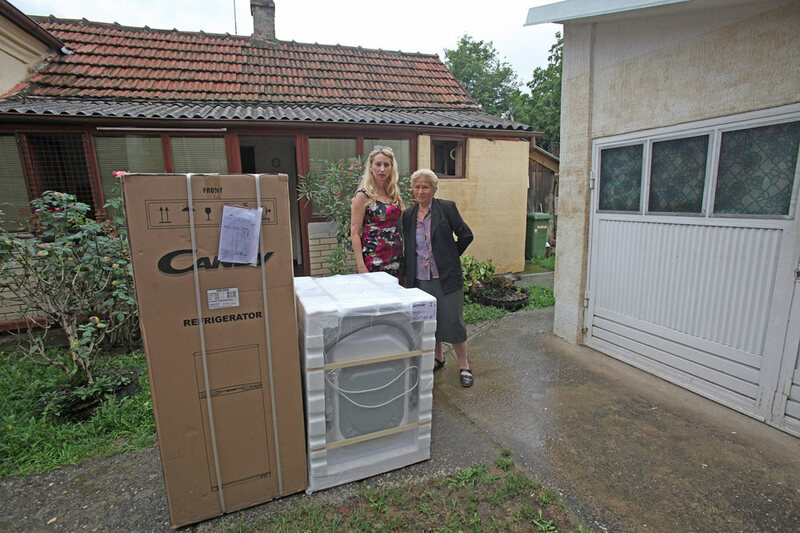 Princess Katherine Foundation sent home appliances for 16 families in Obrenovac and 70 families in village of Poljane near Obrenovac. 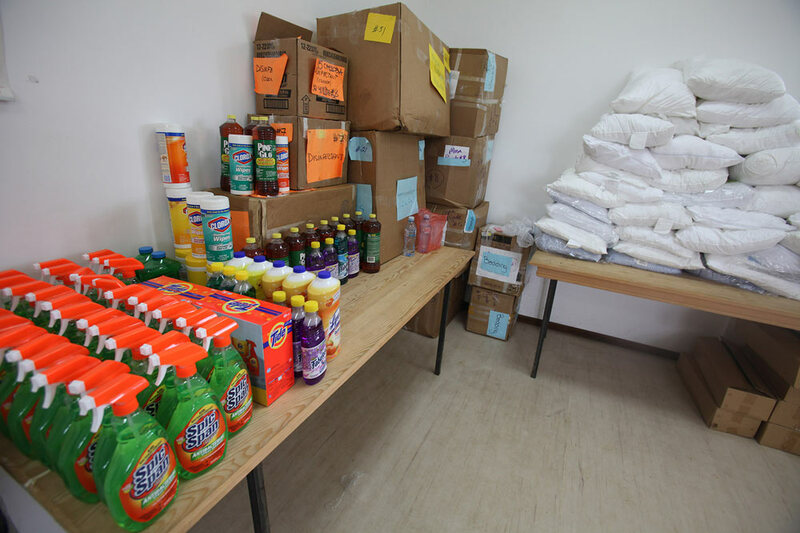 This humanitarian aid was donated thanks to the activities organised by Lifeline New York and Lifeline Chicago Humanitarian organisations, that work under auspices of HRH Crown Princess Katherine. 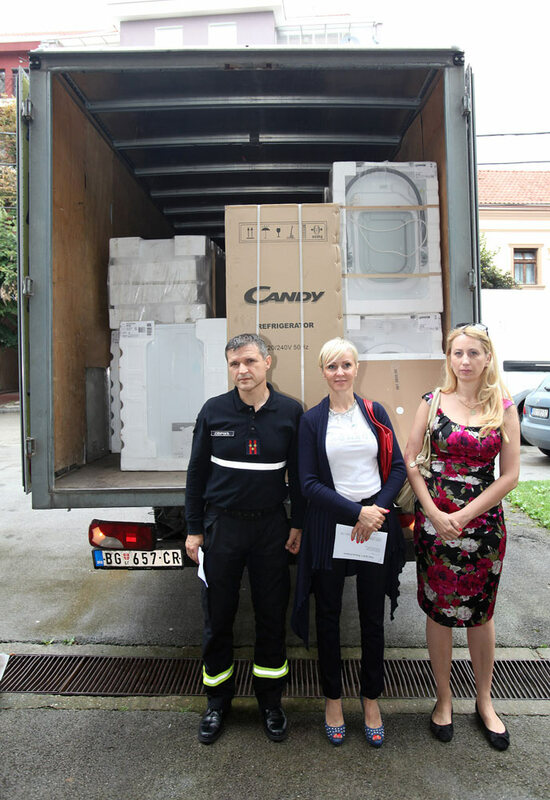 On behalf of Lifeline New York, Mrs Danijela Bosnjak Cerikovic, member of the Board, attended the delivery, while Lifeline Chicago was represented by members of the Board Mr Zoran Gusic, Mrs Mira Gusic and Mrs Gordana Barac. 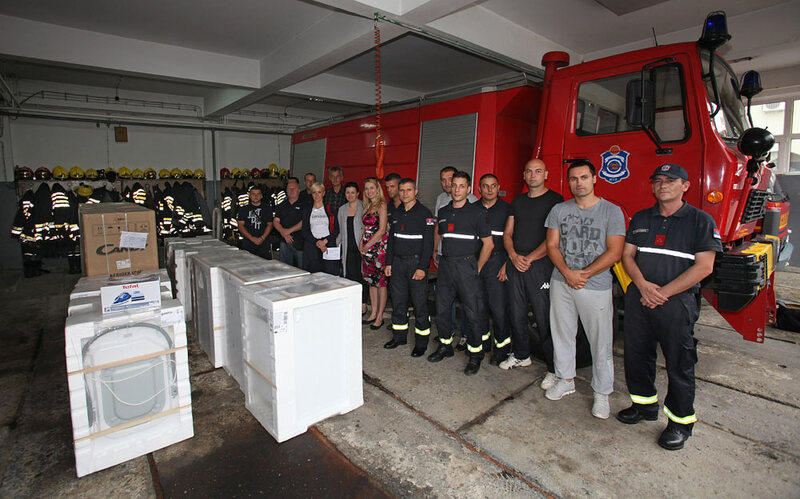 Delivery took place at Obrenovac Fire station where families of 16 members of Obrenovac Fire department received refrigerators, stoves, washing machines, irons. After that, representatives of Lifeline Organizations New York and Chicago, together with representatives of HRH Crown Princess Katherine Foundation went to village of Poljane, that was completely flooded during floods last May. 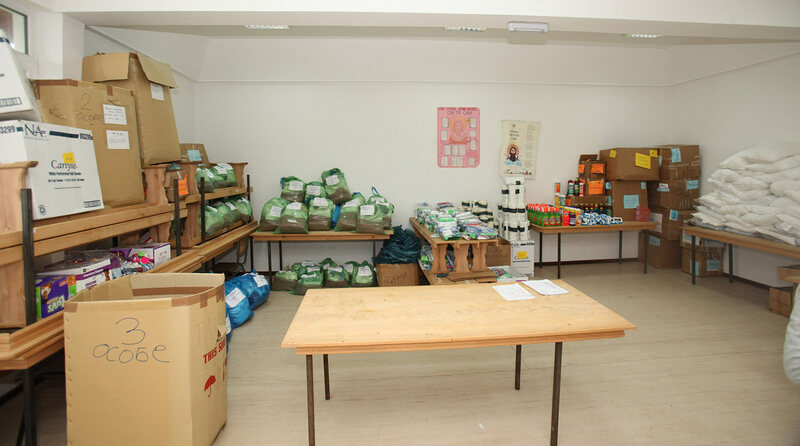 They delivered personal hygiene items, disinfectants, bed linen, pillows, blankets, towels, clothes, baby hygiene. 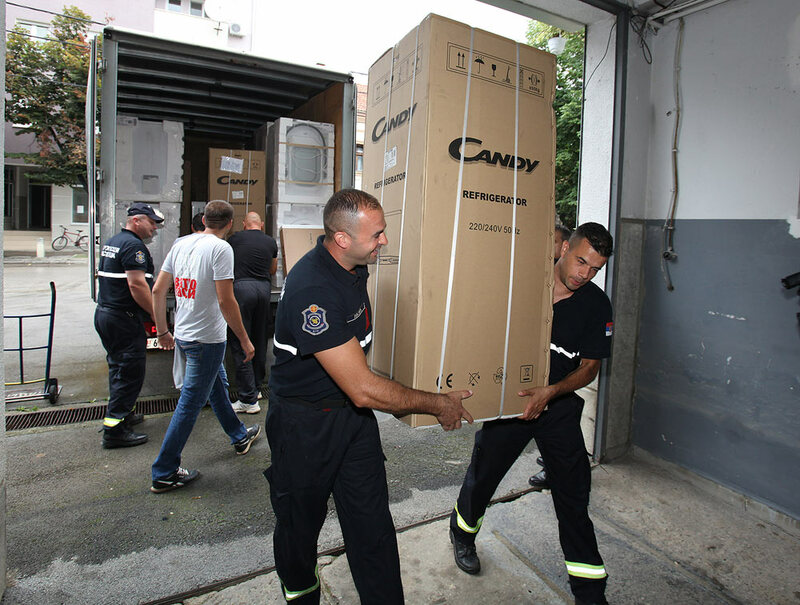 This was another in series of activities of Their Royal Highnesses Crown Prince Alexander II and Crown Princess Katherine who continue helping families in areas affected by disastrous floods in May, who are still in very grave situation.